Before I abandon The Secret World until their next patch, I'd like to address what I like to call the Tamagotchi Brigade. TSW is quite a pretty game. It features immersive locales and character models both realistic and theatrical. Unfortunately, this may not make it the easiest program to work within, if its release schedule is any indication. Content updates are few and far between. Even by four years ago, I had remarked that Funcom was swindling its customers with simple text updates instead of working within the game engine for which they'd been charged. This would be less of an issue if TSW had any replay value, but like any WoW-clone it's a painfully linear slog through a single-player gear farming grindfest. Creativity and unpredictability scare idiots. Content provides no incentive to log in for day after day after day of the same exact run through the same exact scripted instance. Companies need log-in incentives to just get their customers to fire up their game client... just for five minutes... so their addiction to the loot grind can kick in. 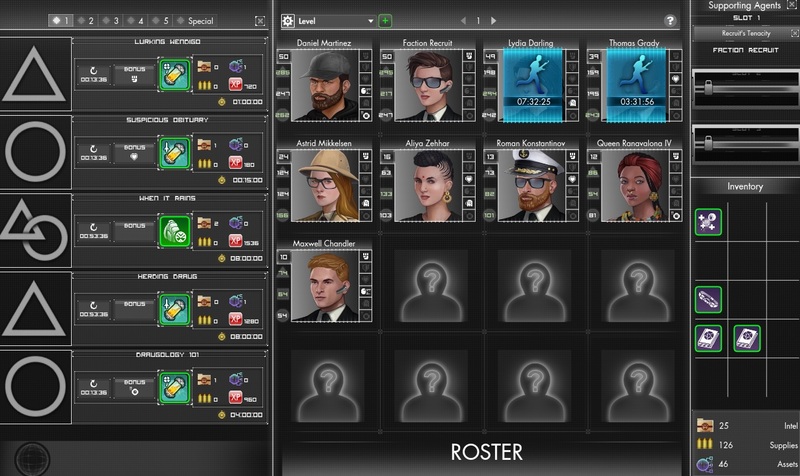 So, among other daily log-in rewards, TSW has implemented the "agent network" a minigame mixing trading card random drop collectability with Farmville babysitting. Like previously mentioned texted ventures it features no voice actors and takes place entirely outside the main game environment. Find mooks, equip them with gear and send them on missions. They bring back resources used to run higher-level missions. That's the interesting part. High-level missions use up a lot of resources. The only way to get these is by having your agents run low-level missions, whose other rewards are utter trash loot, not even vendorable. Missions come in durations of eight, four, one hour or fifteen minutes. 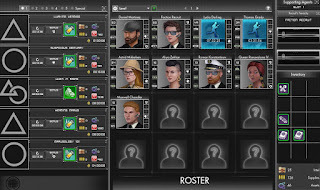 With enough agents, by far the most efficient way to gather resources is to constantly run fifteen minute missions... all day long, non stop. So when your customers run off because your product's a mind-numbingly repetitive grind, your solution is a minigame which is... even more of a grind. Yes, this will work out well.